John grew up in the South Hills of Pittsburgh. He and his family moved to the East side of Pittsburgh 10 years ago. John has been married for more than 20 years to Jennifer. They have two wonderful daughters, Zoey and Olivia. John is a proud University of Pittsburgh alum. He taught high school English in the Pittsburgh area for many years, but he has traded in his textbooks for some cookbooks. 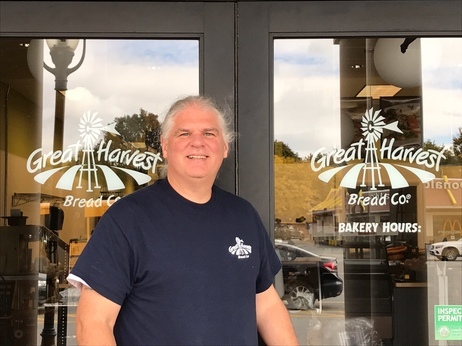 He and his family are very excited to start this new adventure and hope to bring you phenomenal bread for many years to come. 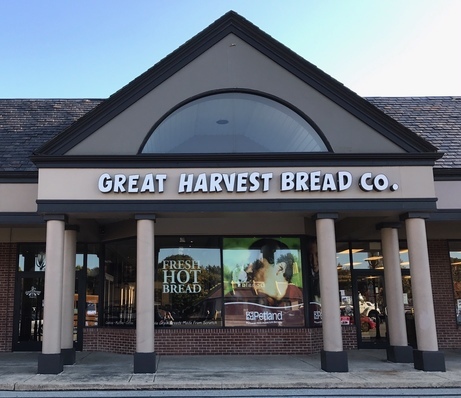 Great Harvest Bread Company Pittsburgh is located in the Village of Eastside shopping plaza (behind Trader Joe's). We mill our wheat every day to create our 100% whole wheat breads and goodies. This enables us to bring you the freshest phenomenal bread possible. We are very excited to have teamed up with Sustainable Pittsburgh to show our commitment to our environment and community.